Rainbow vacuum cleaners provide a unique system of cleaning. 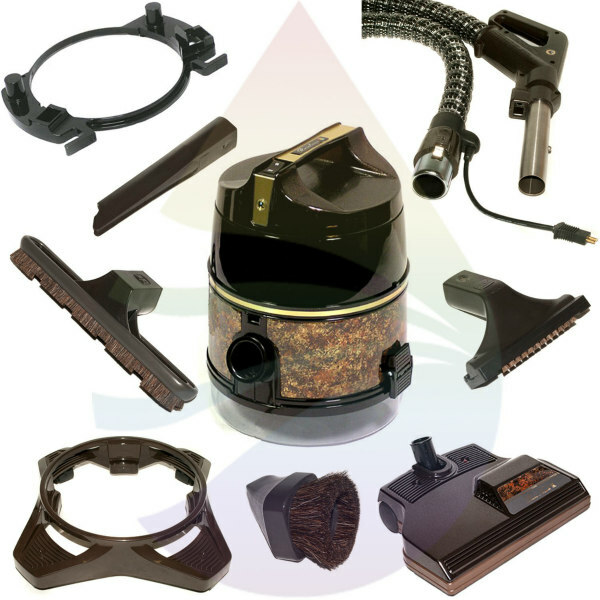 Instead of using the power of air to gather dust, dirt, and grime into an attached bag, Rainbow vacuums take advantage of the capacity and might of water to satisfy cleaning needs. Read consumer reviews written by visitors to this site, or submit your own. The Rainbow vacuum cleaner was introduced to the public in 1929 when John W. Newcombe invented and marketed the first bagless vacuum cleaner. 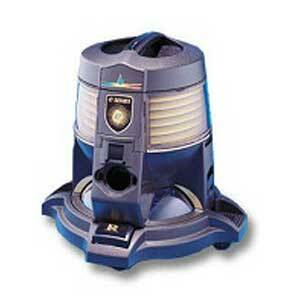 Although very few people were even aware of this bit of trivia, the company name was and remains Rexair. The name Rainbow wasn't used until 1955. Prior to that, however, Newcombe introduced the first water filtration system for cleaning carpets and rugs in 1936. 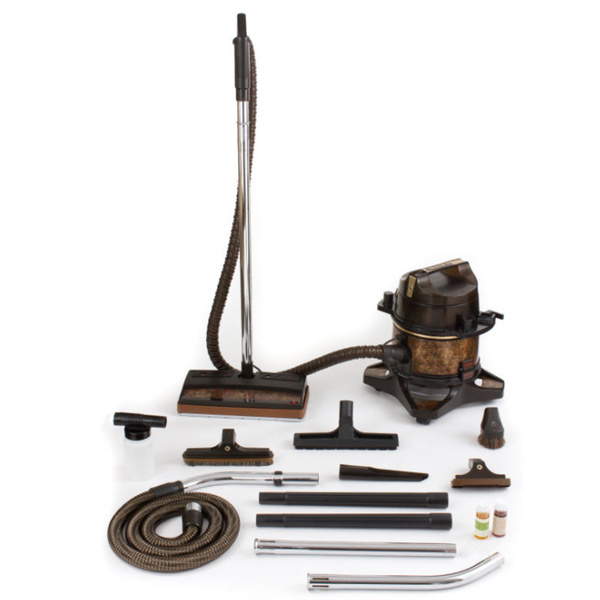 Not long after the 1955 launch of the Rainbow line of home cleaning systems, Rainbow became Rexair's leading product and has remained the company's top seller and most popular product to this day. Four years after Rainbow was introduced, Newcombe sold Rexair LLC to a businessman named J.V. ‘Sandy’ Sanders. He immediately revamped company operations and procedures and changed the focus to direct marketing via independent distributors. The “Rainbow Opportunity” offered individuals the opportunity to become independent dealers and distributors who were encouraged to use door-to-door selling and ‘leads’ from happy customers to generate sales. Nearly 60 years later, the Rainbow Opportunity is still the only way to be assured of acquiring a certified Rainbow cleaning system. Most Rainbow home cleaning systems are sold in the homes of prospective customers who invite a Rainbow distributor to their homes to demonstrate the Rainbow home cleaning system in an actual home setting, where there may be pets, children and lots of stains, dust and dirt to tackle. A significant portion of the sales of Rainbow home cleaning systems are also made at home shows or industry trade shows where consumers are treated to demonstrations in more controlled environments. Rainbow dealers and distributors are recruited from among prospective Rainbow owners. In exchange for the investment of their time and energy, prospective dealers are not required to purchase a Rainbow home cleaning system of their own, but are offered a ‘gift’ in exchange for their commitment to join the team. They are instead required to purchase promotional and sales aids to support their business. New Rainbow dealers and distributors are trained at seminars and by corporate distributor developers. Even Paul Vidovich, Rexair CEO and his staff travel to the 70 countries where Rainbow home cleaning systems are sold conducting training workshops and seminars to help new and long term dealers and distributors improve their sales and marketing techniques. Rexair is a US based company based in Troy, Michigan, and all of its products are manufactured in the United States at plants located in Cadillac, Michigan, or Toledo, Ohio. Since its inception in 1929, Rexair has produced just ten Rainbow models. Rainbow’s innovative water filtration system was the very first to use this type of technology. The Rainbow motto is ‘wet dust can’t fly’. In essence, the Rainbow cleans homes and offices by using water – nature’s original cleaning agent – to capture odors, dust and dirt, leaving everything clean and fresh. The added HEPA filtration system traps any airborne dust and dirt that may have escaped the water filtration system, leaving your home twice as clean as homes where traditional vacuum cleaners are used. 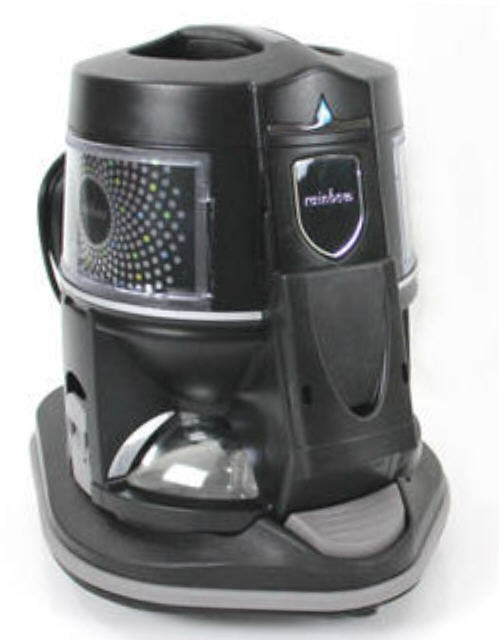 Rainbow’s long life Hurricane motor, fingertip control, rubber bumpers and on board LED lights all combine to make this home cleaning system one of the most efficient ergonomically designed, user friendly vacuums on the market. Unlike its predecessors, today’s Rainbow moves easily from one place to another on a dolly equipped with a large rubber bumper to eliminate the possibility of damage to your furniture or walls. Your work is made even easier because al of the attachments and nozzles are easily attached and removed. If you are interested in acquiring a Rainbow cleaning system for your own home, be sure you purchase yours from an authorized independent Rainbow distributor or dealer. It is not unusual to see a Rainbow in good condition at an estate sale or to see one advertised for sale on the internet. However, you forfeit any chance of support from the manufacturer for replacement parts or servicing if your Rainbow is purchased from source other than an authorized Rainbow dealer or distributor. All Rainbows sold by authorized Rainbow independent dealers and distributors are fully warranted by Rexair LLC and owners are assured of prompt service at local authorized Rainbow service centers. Have You Used A Rainbow Vacuum Cleaner? How did you like it? Does it clean as the advertisements suggest? Share your experiences or stories about Rainbow vacuums and we’ll share it with other visitors here on this page.